AirSafe Media shares insights gained from managing the online presence and online advertising for hundreds of web sites and online marketing companies. 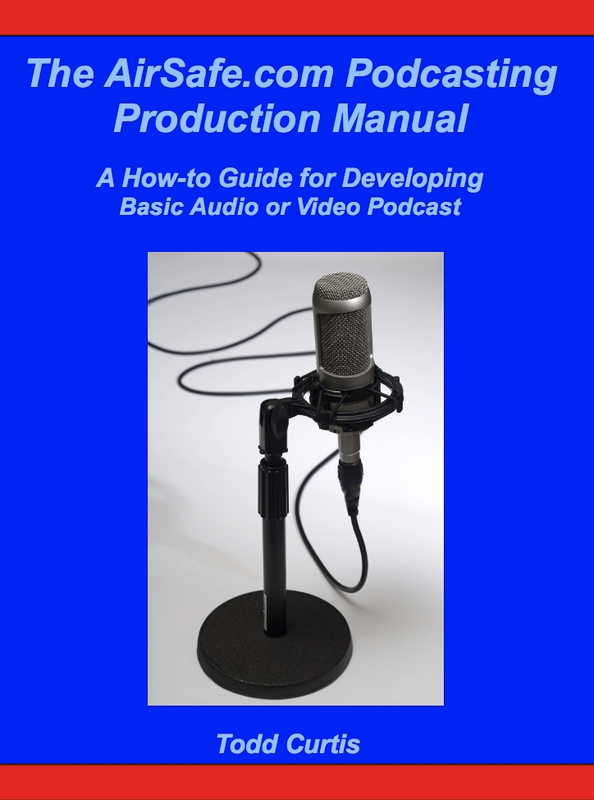 If you create or manage a web site, blog, Facebook page, or other online resource, if you are in the business of increasing traffic, enhancing search engine results, or serving a specific audience, one way to do so is by using podcasts. Whether it is the classic audio only podcast distributed on your web site, or a video podcast that you distribute on a video sharing site like YouTube, if you want the podcast to be successful, you have to be able to create many episodes over a long period of time. AirSafe.com has produced the Conversation at AirSafe.com podcast since 2006, and last year created an ebook ,The AirSafe.com Podcasting Manual, that laid out a systematic production process that makes it easier for an individual or an organization to sustain a podcast over the long run. CHAPTER 3: What's Your Mission? CHAPTER 4: Who’s on Your Team? If this looks interesting, check it out one of the free download options. Feel free to buy it on Amazon as well.